*** NEW TASTER SESSION 13TH APRIL NAIRN AND CULLODEN! *** Come and try synchro, we'd love to see you. 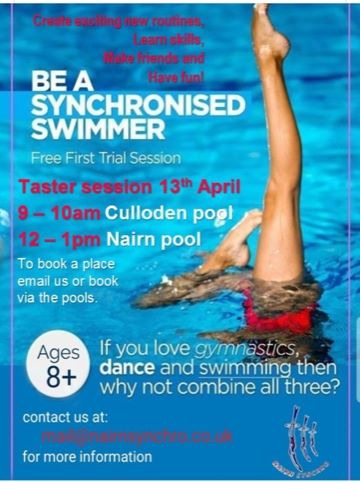 email mail@nairnsynchro.co.uk to come along. 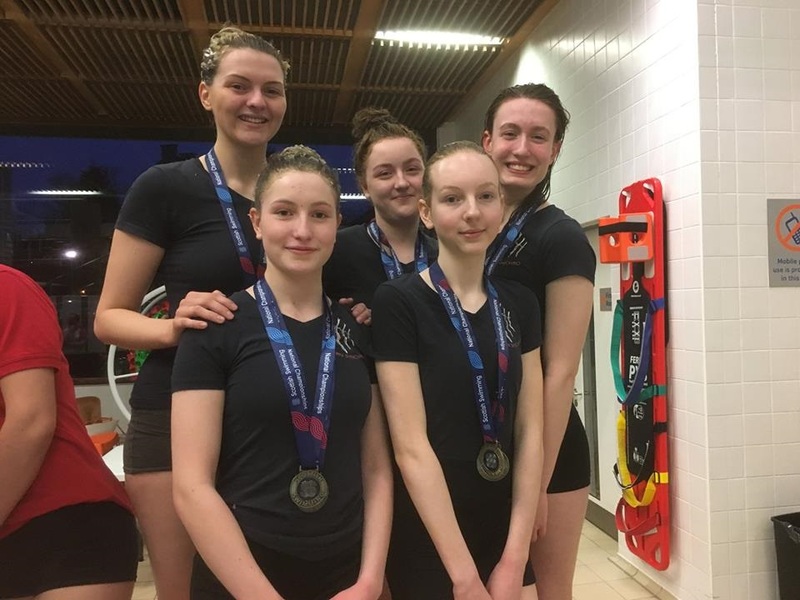 Nairn Synchro Club is the only synchronised swimming club in the north of Scotland and has members from a wide area across Highland and Moray. The Club is always keen to have new swimmers (age 7 plus), adults are welcome too to join our masters programme. Please get in touch to find out more. We also welcome volunteers to help learn to coach, a rewarding experience, again please get in touch. A small team but very successful! Nairn Synchro are Scottish Club Champions for 2018, winning the Scottish Age Groups/National Top Club and also the Top Podium Club 2018. The photo shows the team who all contributed points to the overall success. 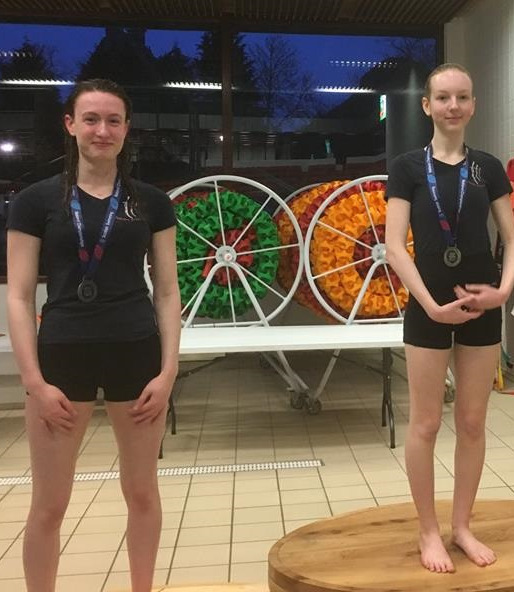 The swimmers and medalists who attended the Scottish figure and technical routine competition 23rd March in Edinburgh ..
Synchro is the most creative and challenging of all the aquatic disciplines and is great for all ages. It combines swimming, dance and gymnastics and is a great way to improve core strength and flexibility. It is not just for women. 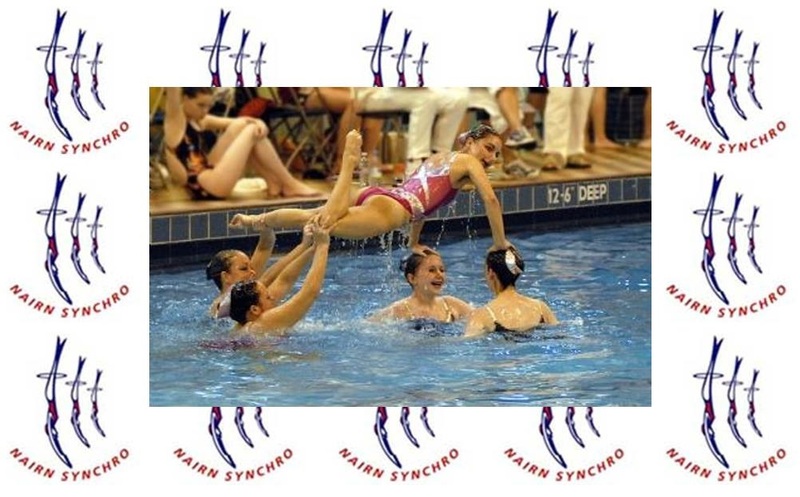 Since 2015, synchro has become a mixed sport, from domestic to international competitions. 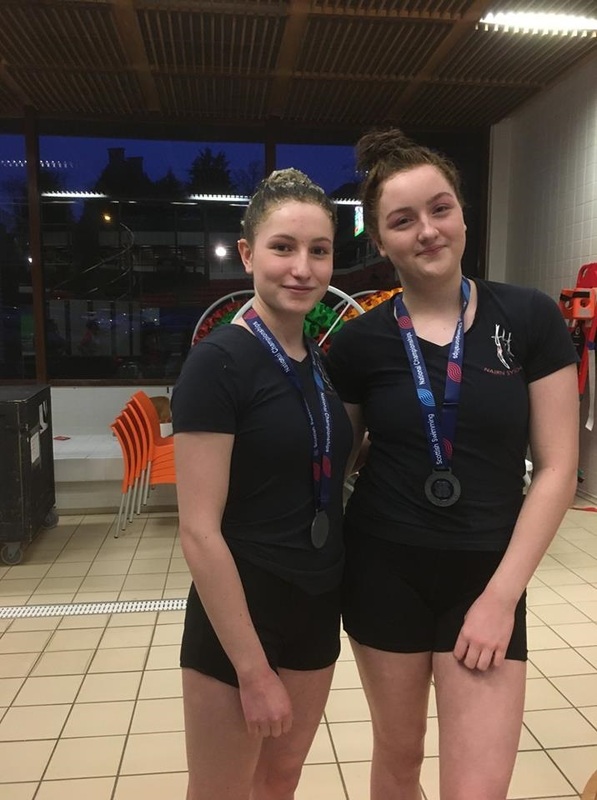 At Nairn Synchro everyone is helped and encouraged to reach their full potential. The club trains regularly and swimmers compete at all national levels . Swimmers are part of a team, and the skills they learn as both team players and individuals will be key skills for life. Click here to find out more about synchronised swimming. 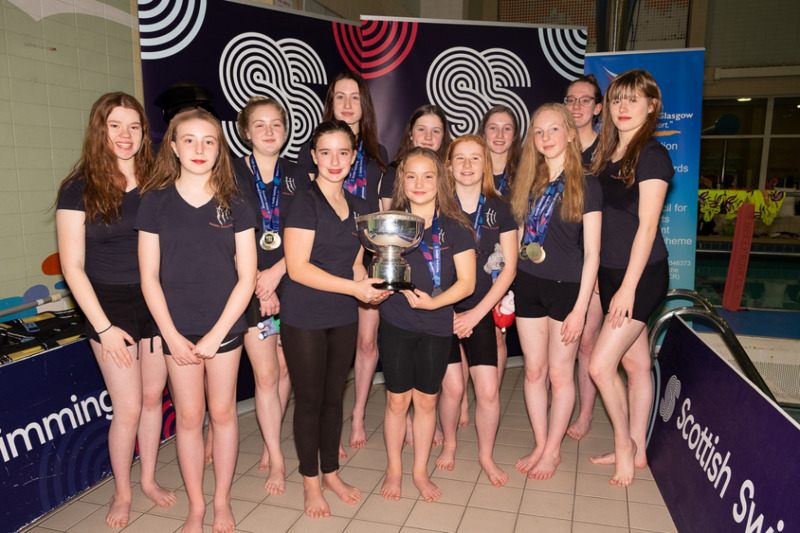 Contact us to find out more about joining Nairn Synchro. Sport has been one of the most important socio-cultural learning experiences for many years. 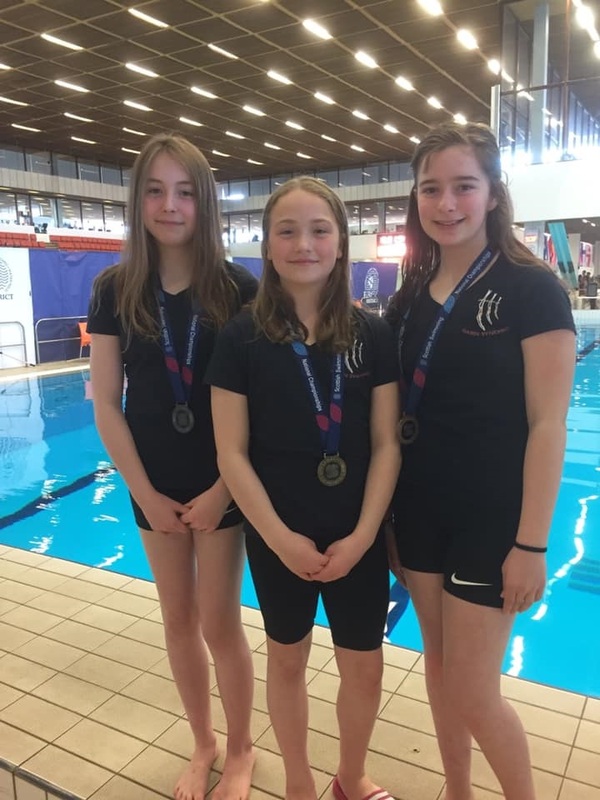 Our swimmers learn essential life skills such as hard work, patience, persistence and how to respons positively to setbacks and failure. 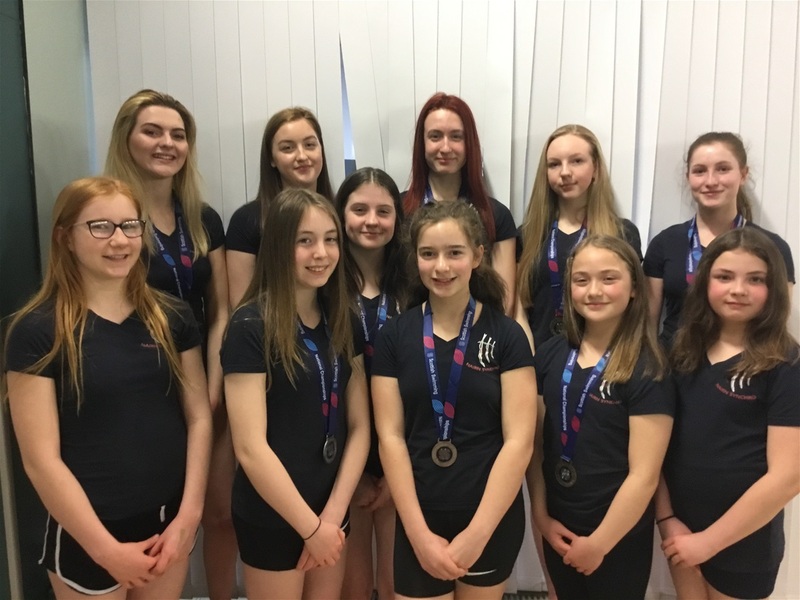 Nairn Synchro relies on fundraising to support the club. It is run entirely by volunteers and funding is needed to support training, access competitions and for equipment. We would be grateful for any sponsorship to help the club, please get in touch if you can help. Thank you. We are delighted to be part of the Co-op Community fundraising initiative for 2018/2019 and are very grateful to the Co-op for their support.